No matter what agenda the left is focused on, they are undoubtedly committed to it in ways that conservatives seem unable to achieve. Liberals stick together on every issue bound by the belief that they are working towards creating a better world, a state-run Utopia if you will, where everyone is equal, and no one is treated unfairly. Liberals, being collectivists, are willing to commit all their efforts in the push for this Utopia while conservatives on the other hand, being individualists, have a hard time uniting around the very principles we claim to believe in. The nation is founded upon the principles of individual liberty, not collectivism; however, collectivism is one of the biggest attributes the left possesses as they all work in unison pushing the same narrative. The media certainly plays a role in this as they seem to be telling their audience what to believe about the issues facing us today. The left has demonstrated that they are willing to lie, cheat and steal their way to the achievement of any goal. This is because they are operating on an “ends justify the means” mentality. This essentially means that the end goal of a state-run Utopia would ultimately create a better world for everyone; therefore, whatever method is employed in achieving it, is justified. They do not hold themselves back by notions of morality or concepts of right and wrong. If, for example, the passage of red flag gun confiscation laws leads to innocent people being disarmed for no reason and without due process there is no wrong committed because the end goal of ending the second amendment is being advanced. The conservative, or anyone who believes in principles and universal morality would see this as an absolute wrong. To deprive an individual of liberty when they’ve broke no law while murderers are still murdering is the most egregious wrong that could be committed by the state. To the left, there is no right or wrong, only in the context of advancing socialism. 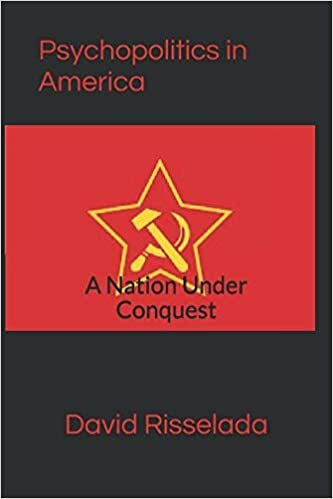 If it serves to break down American culture while creating a socialist state, it is right as far as they are concerned. Where does this “ends justify the means” mentality come from? Most recently it can be traced to Saul Alinsky and his book “Rules for Radicals.” Alinsky argued that having morals stands in the way of achieving goals, so to say. To understand this better he refers to people unwilling to employ any means necessary as “means and ends moralists.” According to Alinsky, means and ends moralists, holding themselves back due to some misconceived perception of right and wrong, are always left behind, unable to reach their goal. If you ever find yourself wondering why liberals always seem so far ahead of the curve, this is why. Conservatives, believing in what Alinsky refers to as the “immaculate conception of ends and principles” are simply not willing to employ the same methods of deceit in achieving our goals. This is because most conservatives are guided by their religious conscious and belief in Christ. Liberals are mostly atheist, to them there is no right or wrong in being deceitful, only the advancement of their agenda. Alinsky goes on to describe the Jews in WWII Germany as being means and ends moralists. He describes their unwillingness to fight back against the Nazis as a misguided sense of morality preventing them from acting. In this case Alinsky is right, though he is wrong to use this as an example in describing his concept of means and ends morality. It would have been absolute moral and right in the eyes of God to fight back against the oppression of the Nazi’s. This is different from rigging the primaries in favor of your preferred candidate under the belief that she would be a better president, for example. Or running guns to Mexican drug cartels to discredit the second amendment, as another. Alinsky argues, in a roundabout way, that having no morality is the highest form of morality one can have in pushing for social change. He says that an unwillingness to corrupt yourself shows that you have no concern for the people, only yourself. What Alinsky is essentially arguing here is that the traditional, Christian sense of salvation of the soul is selfish, and that being concerned about your own salvation as opposed to the worlds salvation is misguided if you claim to care about people. In pushing for social change one, according to this twisted logic, should be willing to corrupt themselves to achieve their goal if they truly care. The entire premise of this argument is in and of itself evil for several reasons. One, man cannot save man, only Christ can. To argue that man can create a perfect world without God or even a unifying principle of morality is simply, wrong. It cannot happen. Furthermore, no matter how the left may work to destroy religion in the minds of men, determining what is or isn’t right for mankind is not man’s job, it is God’s. This concept best explains the motives behind many of the lefts agenda initiatives. They believe they know what is best for the country and mankind in general; therefore, they are willing to employ any methods to achieve their goals because the result, in their twisted little minds, will be a better world for everyone. In recent months we have seen this concept pushed to its ultimate limits with the investigation into the presidency of Donald Trump and alleged Russian collusion. They cannot have Donald Trump in office and they have demonstrated that they truly are willing to corrupt themselves to despicable levels in their efforts to discredit him. The problem for the left is that they fail to grasp the fact that there is a universal truth, there is a universal morality. It is wrong to lie cheat and steal your way to victory no matter what the issue. How many people teach their kids that it is ok to cheat to win a ball game, or to pass a test? To argue that corrupted means will not corrupt the ends is to suggest that man himself is the ultimate decider of morality and that God’s word is something to be spit on. There is simply no way that pushing an agenda based on lies and deceit will result in a world where everyone is honest, and equality is the highest virtue. Frankly, the only type of world that can result from such actions is like the one we are living in today where truth is decided not by an ultimate moral standard that is applicable to everyone, but based on circumstances and situational ethics, or worse yet, people’s feelings on certain issues. Saul Alinsky is the poster child of leftist political strategy. Barack Obama, as a community organizer taught his methodologies and Hillary Clinton wrote her college thesis on him. As long as the right faces an ideological enemy willing to employ deceit as a primary strategy, they will have a hard time winning by sticking to traditional morality. This is the point Alinsky is making, that morals are a superstitious dogma that do little else but stand in the way of all out victory in a world desperate for change. Perhaps the biggest problem is an unwillingness on the part of conservatives to fight by bringing our morals to the table and refusing to let them go. That is why the left works so hard to turn public opinion against conservatism, in a fair fight based on ideas and results there is no way they would win.